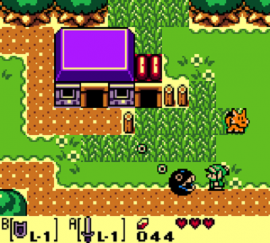 Link’s Awakening holds a special place in my heart, as it is the first time I ever experienced a Zelda game. When I was a kid I was really big into the original Game Boy, which eventually led to me playing this neat little game where you swing a sword and kill various enemies. It was intriguing to me at the time, as I often dreamed of being a sword wielding hero (typically Leonardo from the Ninja Turtles). A Link to the Past. You meet characters that take on leading roles in unexpected ways, such as Marin. More importantly, the game doesn’t present the world as trying to mirror what Hyrule is or was, but rather presents its own unique personality. Simply being unique doesn’t make something greater than the rest, but it’s the pure imagination and wonderment put into this world that makes it stand out. This is less a fault of each individual title in the series, but when it comes to Hyrule we know what to expect. That doesn’t make the world any less wonderful, but there is something special about a world that breaks the mold of nearly every other title. The first time you play it… it will feel like a refreshing experience. This is a hard finger for me to place, but there is just something about the land you have to experience firsthand to understand the beauty of it. Zelda series has ever offered before. The combat feels fluid and still presents a decent challenge, while the game balances itself around the use of various instruments. This is all before we get to the ending (spoiler warning) where you fight your own nightmares, a truly chilling omen that takes the idea of fighting yourself to a new degree, where you face many of your fears at the same time. All of this before the tragic realization that this game never happened. It doesn’t exist, and the Windfish, combined with your own mind, played a foul trick on you. To date, it is the only game where everything that happened is not relevant to any other game, since it… didn’t actually occur. Through all of this it creates a diversified experience. It presents much of the balance other titles provide while adding a slew of really interesting mechanics in both gameplay and storytelling. When you throw it all together it can quickly rise to the top of the pile. 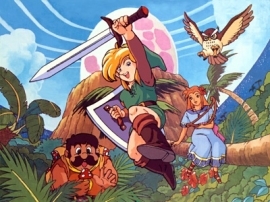 Link’s Awakening stands as a pinnacle in overall achievement for the series. Keep in mind that I’m not trying to paint any game has actually being the best; rather, I want to open the discussion on how great each game is on its own and why that greatness may make it someone’s favorite.